Grass is never mowed on public space 23 Gwilliam Place. The cul de sac island gets randomly mowed by 1 contractor, another more frequent contractor mows grass from gwilliam to grattan. Grass at Norfolk pine, is never mowed unless residents pay for a mower to do it. Disgusting. It attracts rubbish, grass will become a fire risk soon. AT and ACC need sort this out. We are sick of nearly 2 years of funding it and will soon have tv cameras out , Please advise, Ive personally spent approx $400 and am no longer doing it!!! 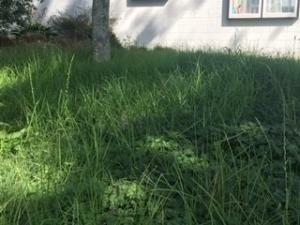 Hi, I live at number 25 Gwilliam place freemans bay, we have not had this council owned grass cut for over 12months. It is a health hazard and needs to be resolved immediately.